An FIR has been registered against a former executive director of Air India for allegedly stealing a painting by renowned artist Jatin Das which was part of the airline's collection, police said. 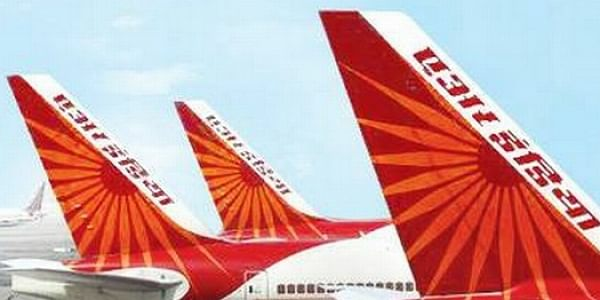 NEW DELHI: An FIR has been registered against a former executive director of Air India for allegedly stealing a painting by renowned artist Jatin Das which was part of the airline's collection, police said. The FIR follows an internal inquiry by Air India, which found Rohita Jaidka and other unidentified persons stole the painting between 2004 and 2009. During the period, Jaidka served as general manager and executive director of Air India. "The airline approached the police and an FIR was registered on November 11 against Jaidka and other unidentified persons," the police said yesterday. The horizontal oil painting - titled 'Flying Apsara' - was commissioned in 1991 by Air India. The matter came to light when Das, a Padma Bhushan awardee, wrote to Air India in June claiming that one of his paintings had gone missing and was available in the open market. The letter prompted the airline to launch an internal probe. Das was alerted after art curator Pooja Acharya contacted him to verify the authenticity of the work. Acharya was in touch with Sarabjit Singh, whom Jaidka was allegedly trying to sell the painting. When the incident came to light, Jaidka returned the painting to the airline headquarters "in a torn condition" from a fake address in Noida, according to the FIR. Air India said to "cover up" Jaidka managed to arrange a replica of the painting and claimed she was selling a copy and not the original work. Air India in its complaint pegs the value of the painting at Rs 25 lakh "as per evaluations by an art historian". Jatin Das, however, has refused to attach a value to his artwork. The airline has told the police that as per its records the painting was displayed at Air India Maharaja lounge at Terminal-2 at the Indira Gandhi International Airport. It was later moved to Air India's office at Hansalaya Building, near Connaught Place around 2002. The records show the painting was at this address in 2004 as well, "whereafter it appears to have been stolen between the years 2004-2009". Das had blamed "indifference, negligence and theft" as reasons for the painting going missing. Air India's art collection includes stone sculptures dating back to the ninth century, woodwork, decorative friezes, and a collection of exquisite clocks. But some of the most prized collection include works by M F Husain, S H Raza, V S Gaitonde, K A Ara, Anjolie Ela Menon, Arpana Caur and B Prabha.